As usual Cook ignored his monumental effort, saying typically ‘I can’t fault the guys on a really flat wicket to hang in there when Pakistan got 520 by finding a way back into the game.’ But his performance – the longest innings ever played by an England batsman – was a phenomenal achievement built on his remarkable powers of concentration, stamina and focus. He takes indefatigability to extremes. How does he do it? Endurance-wise, he has always been the best in the team, lasting longer in the ‘yo-yo test’ (successor to the dreaded bleep test) than anyone else. He does a lot of private work on his stamina, but you will invariably see him ‘topping up’ with some shuttle-sprints – perhaps challenging himself against a younger colleague – on the outfield before a day’s play. When I went to interview him in the summer and the cameraman was late, he spent the spare time doing a grueling-looking mini session in the gym rather than standing about idly chatting. 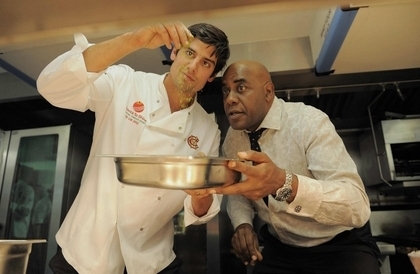 What really defines Cook, however, is the way he maintains his concentration. That is part fitness and part technique. He is intimately acquainted with the fact that the ball is only actually live for about 45 minutes of an entire six-hour test match day (about 5 seconds per delivery.) He is the master at what sports psychologists call ‘locating the dimmer switch’ – switching his concentration to full-on as the bowler is running in, then turning it down to just a flicker between balls. ‘Walking back to the crease is my cue. It’s my way of telling myself “right here we go ago again.” When you’re in form batting for an hour feels like 10 minutes. When you’re out of form, batting for 10 minutes feels like a day! It’s a strange thing. But you do know when you’re starting to get into that good rhythm, and it’s a very nice feeling.’ It’s the clue to why, when he’s playing well, he never looks tired, even if he’s been out there for 10 hours. The other unique thing about his batting – borne out vividly by his innings last week – is that he never gets deflected from playing his game. He adheres rigidly to his scoring areas – principally the clip (to leg) and the cut – he never gets delusions of grandeur and attempts to explore a new avenue. He is a sculptor employing the same implement to relentlessly chip away at the marble – with subtle changes of emphasis, slightly more rotation of the wrist here and there – to create his masterpiece. There were two reverse sweeps in his 263, but both of these were after he was well past 200 and had already been batting for 10 hours. They weren’t for show or for entertainment. They were a calculated attempt to manipulate the field – getting another man moved over from the legside. Neither was successful after which he locked them away, and reverted to normal service. Cook’s extraordinary innings was the most epic display of commitment and concentration since the world record Nikolić-Arsović chess game (20 hours 15 minutes.) Sadly, that ended in a draw too. There’s more about how different batsmen apply themselves in Simon Hughes’s new book Who Wants to be a Batsman. Next story Is this Pakistan series worth it? Well kind of….